The fourth Range Rover and the first vehicle of its kind, Velar - like it's forebears - is another pioneer, exploring the frontier for luxury SUVs. A new type of Range Rover for a new type of customer. Over the last decade, the transformation of the Land Rover brand has been truly remarkable. This unprecedented change has been characterised by the introduction of an exciting new range of SUVs, each one showcasing a unique combination of design excellence and engineering integrity. Make no mistake, this transformation will continue and the next chapter in this incredible story starts here with the Range Rover Velar. Derived from the Latin word Velare meaning "to cover" or "veil", Velar is a direct reference to the code name used on the original, pre-production Range Rovers of the late 1960s. 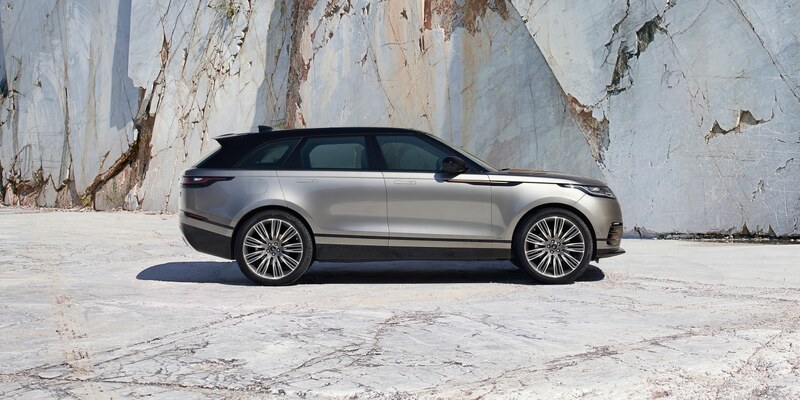 Desgined to fill the white space between the Range Rover Evoque and the Range Rover Sport, Velar brings unprecedent glamour, modernity and elegance to the Range Rover family. A vehicle that has emotionally charged DNA and unquestionable pedigree it's the first of its kind. The mark of exceptional design is its ceaseless legacy to inspire and shape new products, rendering them familiar yet simultaneously transformational. Velar, the fourth member of the Range Rover family, is an instantly recognisable descendant of the original luxury SUV - a globally lauded, landmark industrial design. Yet Velar’s form, stance and proportions leave an overwhelming impression of the unfamiliar, of the new. The start of another revolution. Velar is a distinct and further iteration of the original Range Rover character, conceived to play a powerful new role in the evolving Range Rover narrative, sitting between the Range Rover Evoque and the Range Rover Sport. Its stop-you-in-your-tracks looks are born from a process driven by ‘reductionism’, a discipline faithful to the original Range Rover but enabled by the very latest thinking in design, precision engineering and technology. 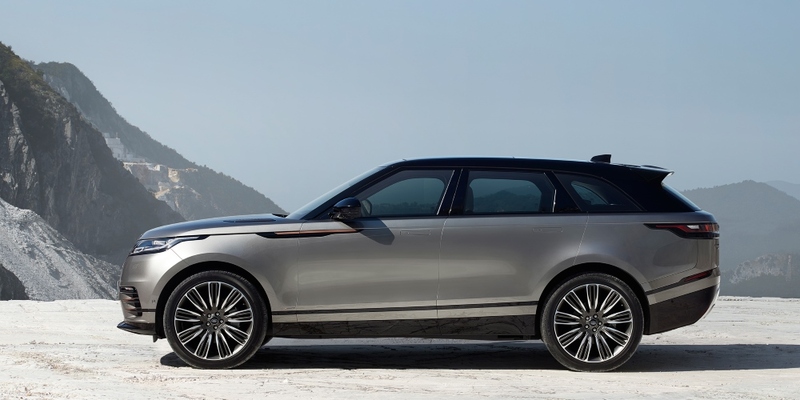 In the words of Gerry McGovern, Chief Design Officer, Land Rover: "Velar brings unprecedented glamour, modernity and elegance to the Range Rover family. It’s a vehicle that has emotionally charged DNA and unquestionable pedigree. A new type of Range Rover for a new type of customer." Velar is an SUV that exudes a sense of precision, craft and quality. With fast and flush glass, delicate and beautifully slim illumination and features - inside and out - rendered invisible until required, Velar belongs in the precision-led design world of 21st century technology. Yet its unmistakable fidelity to the idea that gave birth to the original Range Rover - the idea that what use is groundbreaking technology and engineering if it does not expand and enhance its customer’s engagement with the world - loans it an indisputable sense of purpose. 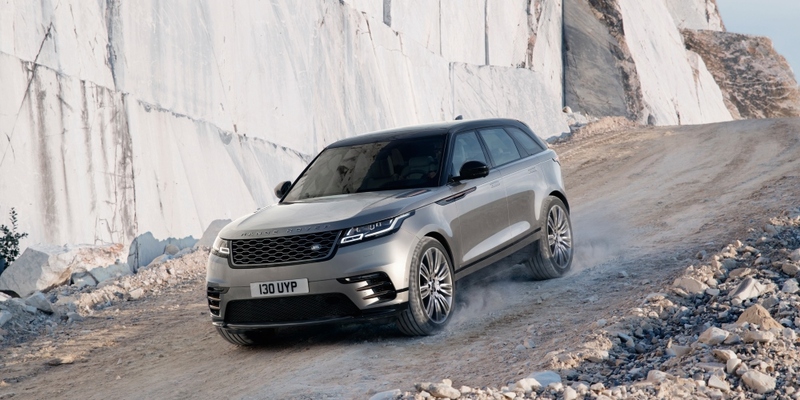 Velar takes its name from the prototypes of the first Range Rover, the first vehicle to take luxury and technology into unexplored territory - literally. Velar, with its dramatically different approach to luxury and technology builds on that idea, expanding - once again - our understanding of the notion of a luxury SUV. 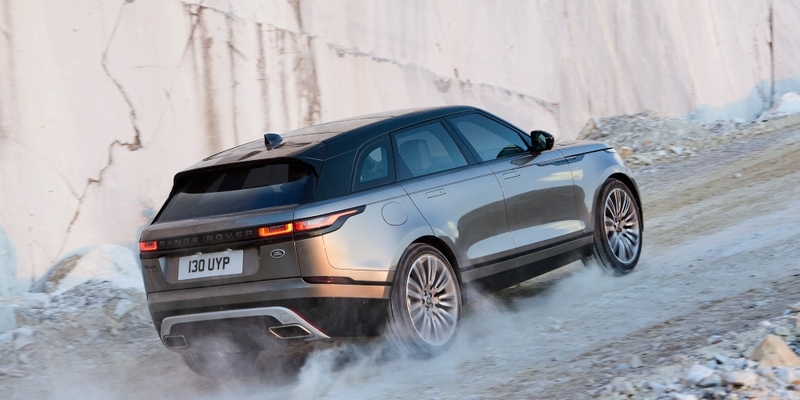 "Velar is now the compelling, stand-out design in the class, showcasing perfectly optimised volume, powerful, taut surfaces and a stunning silhouette." says McGovern. The first Range Rover prototypes - the decoy name V E L A R spelled out in what would become a familiar style across the leading edge of the clamshell bonnets - were pioneers. Their mission was to explore whether it was possible to extend beyond the metalled road the comfort and majesty for which by the late 1960s, British cars were synonymous. As prototypes became production cars and with constant development, especially with regard to comfort and equipment, the Range Rover became the luxury SUV, a car in a class of its own, against which all others would be judged. The ‘Royal’ SUV - often literally. But its designers and engineers didn’t just add luxury - they added capability too. As the Range Rover has evolved it has become ever-more able to transport its occupants above and beyond the humdrum. 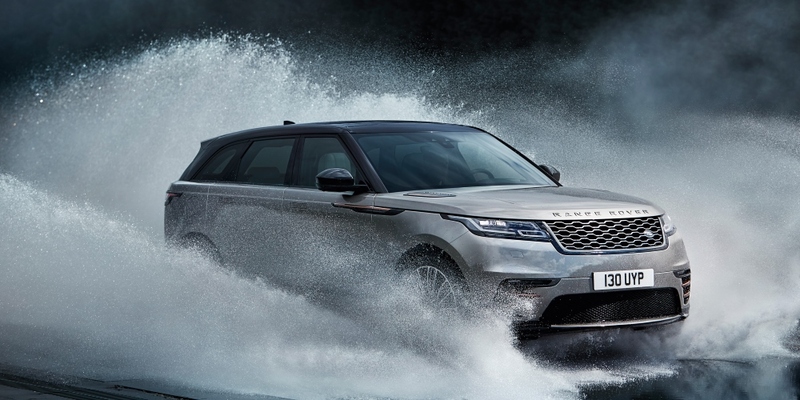 Luxury and capability, the defining characteristics of the Range Rover, have been constantly extended in every direction for close to 50 years now. But the sheer ambition contained in the idea of ‘Range Rover’ pushed engineers to explore new traits implicit in the supremacy of the original concept. 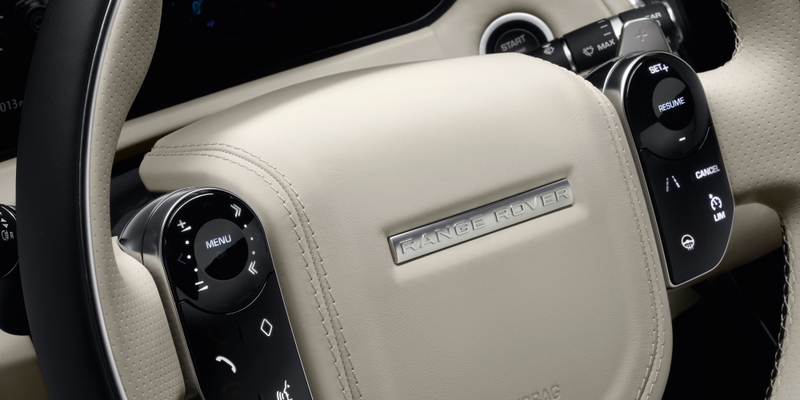 The Range Rover Sport added dynamic excellence and the Evoque more compact drama, while never betraying the central tenets of what remains a unique idea. 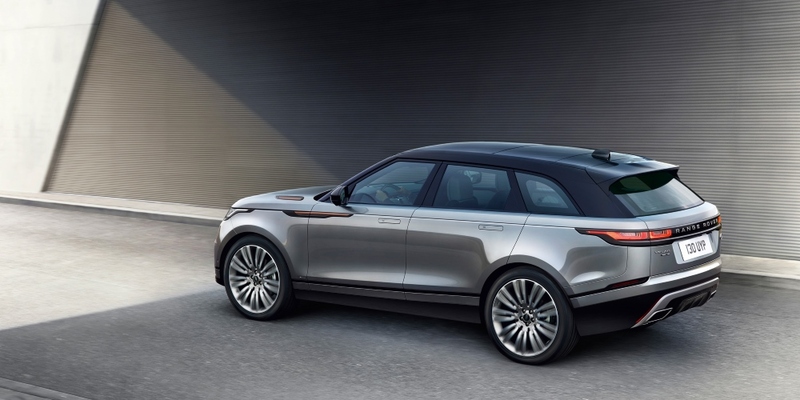 Velar embraces that idea and that ambition still further, extending the core concept in line with 21st century lifestyle choices that require practicality, flexibility and connectivity as well as luxury and capability. The first vehicle of its kind, Velar - like its forebears - is another pioneer, exploring another new frontier for luxury SUVs, this one in the rich, varied, ‘always-on’ lives of its owners. Its role, however, just like the very first cars to carry the name, remains unchanged, to go above and beyond. Range Rovers have always looked to technology to deliver on the promise to take those inside above and beyond; whether in lightweight but robust and durable aluminium-intensive structures; or sophisticated all-wheel-drive systems enhanced by complex electronic control systems; in chassis technologies like air suspension that deliver levels of comfort in an SUV that boggle the mind; or in a human-machine interface that exhibits simplicity, logic and familiarity. Velar is no different. Like the clean, elegant devices we carry around with us every day, Velar’s elegant exterior and interior cloak an intense devotion to technology. Much is hidden from view, including an aluminium-intensive structure, all-wheel drive with its suite of electronic traction-control systems, air suspension, rear electronic differential and high-tech infotainment. Much, however, is also obvious like the all-LED lights - bright, translucent highlights in Velar’s graphically reductionist form. Or the flush, deployable door handles that retract into the doors when not in use. The use of beautiful, burnished copper-coloured finish on some of the exterior detailing is another first in the automotive sector and typical of the pioneering approach taken by Velar’s design team. Velar debuts the innovative new Touch Pro Duo infotainment system, featuring two, 10-inch, high-definition touchscreens. The centrepiece of the interior is the twin-screen, 10-inch Touch Pro Duo infotainment system, which combines a rake-adjustable upper touchscreen with a second screen in the main console between the seats, which retreats to a solid, opaque darkness until required. Between the two screens, which are linked allowing occupants to move content between the two with a flick of a finger, nearly every non-dynamic feature can be controlled. 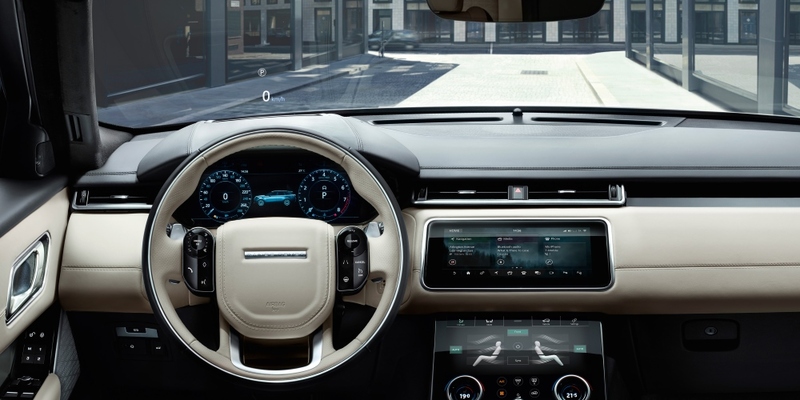 "This cutting-edge, consumer technology developed by Jaguar Land Rover provides an intuitive interface with unrivalled performance and functionality." says Nick Rogers, Director, Group Engineering, at Jaguar Land Rover. That approach is most striking inside, where a Premium Textile interior is offered alongside a more familiar premium leather finish. Developed with Danish technical fabric specialists Kvadrat, the unique Premium Textile seats combine a highly durable wool-blend fabric with a technical suede cloth made from recycled materials. Like the burnished copper-coloured detailing, the Premium Textile option is a world first on a volume production model.